Whether your business needs money to grow or you’re behind on payroll, you may be considering a bank loan. 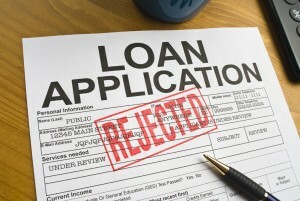 Unfortunately capital can be hard to come by — especially in the form of a small business loan. With most banks, it will take at least two weeks to review your application. If approved, you’ll have to wait another 15-60 days for the funds to actually be available. That’s valuable time that could (and should) be spent generating sales and expanding your company. Instead, you’re stuck in limbo. Why go through an invasive approval process just to find out you’re not eligible for a bank loan? With RMP Capital, there’s a better alternative. We can help you unlock the potential of your accounts receivables, turning them into cash in as little as 24 hours. We believe that small businesses should stray away from bank loans and enjoy self-liquidating financing with predictable cash flow to run their businesses more effectively. Ready to learn more? Leave us your contact information, schedule a free consultation, or fill out an application here. You can also get in touch by dialing 631.738.0047. Don’t forget to connect with us on Facebook, Twitter, Google+ and LinkedIn!